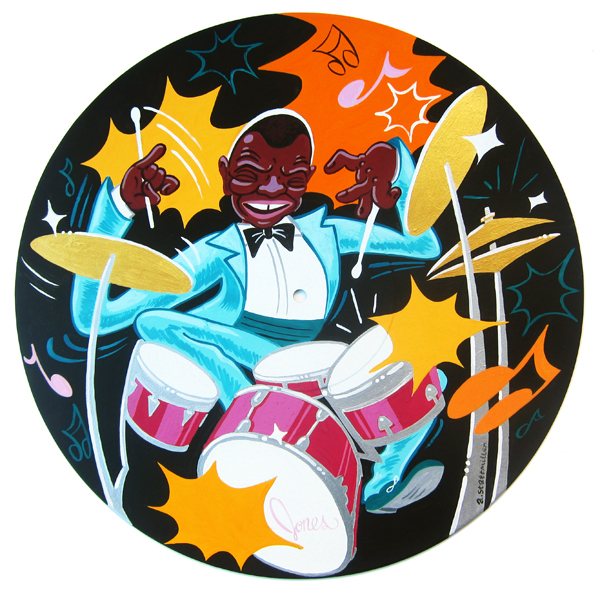 Here are a couple of new pieces I just wrapped up of Jazz artists Elvin Jones and Charels Mingus. 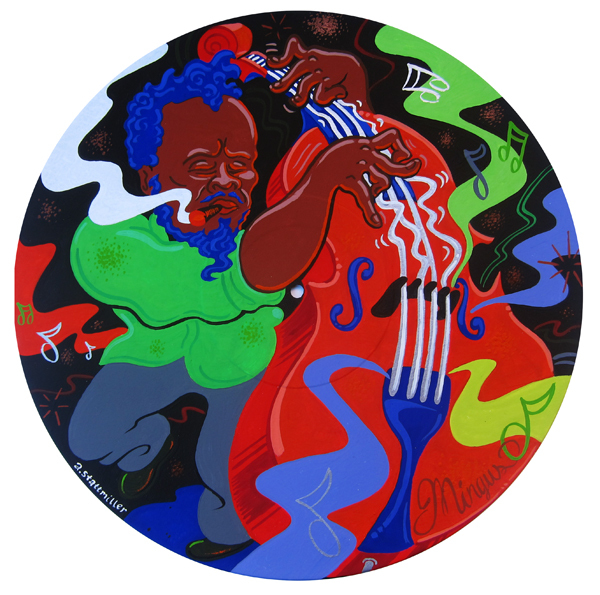 Both are painted on 12" vinyl records. Here are some earlier ones I did for the same collection!